Jitendra Vaswani is the Chairman and Managing Director of Siksha Group, with operations in India and the United Kingdom. He leads the group in its mission to architect talent capability development and enable better client results across industries. To add to his achievements, he is an able mentor, an electrifying speaker and a Principal Consultant for many leading Organizations in India and Asia. He also has International accreditations from Celemi, Sweden and various other Global firms in the sphere of Sales, Negotiation and Leadership Consulting. Prior to joining Siksha, Jitendra has diverse experience playing variety of leadership roles in both R&D and International Marketing, and gained rich experience in the areas of Biomedical Instrumentation, Application Engineering and Telecom. 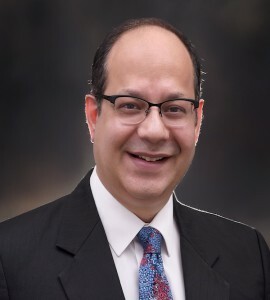 He was certified by Motorola University on Six Sigma and was also a part of the core team for ISO systems and processes certification in his early stage of career. With over 25 years of experience, Jitendra is an engineer from Manipal Institute of Technology and is a Principal Consultant for leading organizations across industries in India and Asia. Being the founder & CEO, Padmaja is the primary driving force in setting-up and expanding Siksha's business across geographies. Her creativity, client focus and solution-finding approach helped to elevate Siksha to newer levels of operational and service excellence in the Indian L&D Sector. As an L&D professional, Padmaja has 20+ years of experience and was associated with one of the world’s leading learning consultancies. Her expertise and diverse global exposure has earned Siksha many international alliances and global footprint. She brings broad experience across industries and deep understanding of talent capability development and organizational dynamics to her consulting and coaching engagements. Padmaja is trained and certified by Telephone Doctor-USA, Celemi International-Sweden and is accredited to administrate various psychometric assessment tools. Amongst her other professional certifications, she has authored courses for the IGNOU certificate programs for BPO, ITeS and other Related Sectors. 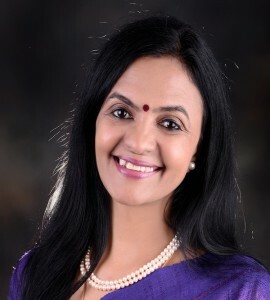 Since Siksha’s inception, she has facilitated various Leadership, Sales and Service learning initiatives for leading organizations across US, UK, Europe and Asia. Being a graduate from Women’s Christian College, Chennai, Padmaja has won several National and International awards in the field of education, corporate L&D and social service. Her strong sense of corporate citizenship has been the reason behind establishing “Siksha Mehak Foundation”, which was instituted in 2006 and has catered to over 5000 cancer-affected children.